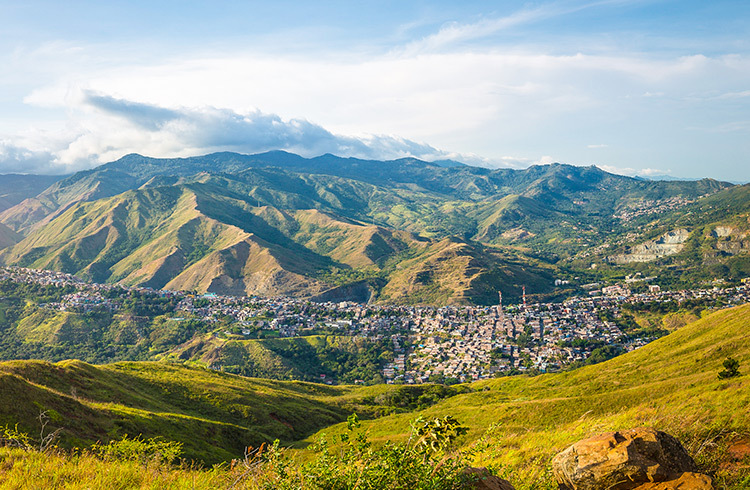 Located in the stunning Cauca Valley, between the mighty Farallones de Cali Mountain range and the Cauca River, Cali is a great city to base yourself for adventure. Cali is a mecca for sport enthusiasts, from hiking and trail running, to technical sports such as rock climbing and mountain biking. For a refreshing morning hike, walk just one-hour up the mountain from the Santa Monica neighborhood to reach El Cerro de las Tres Cruces (Hill of Three Crosses), which offers fabulous views of the city sprawled out below. Every Sunday, some of the city’s roads close and locals hit the streets to walk, run, skate, or cycle. Spend the day splashing in the freezing waters of the Pance River, which originates high in the Farallones de Cali, or running, biking, and hiking through the surrounding mountains. This little gem is 25min from Cali, so avoid the weekends if you want some peace and quiet. Towards the bottom of the river, you’ll find Pance Eco Park where there are restaurants and bathrooms. About 1km (0.6 miles) up lies the small village of La Vorgáine, providing similar services, as well as access to the river. For a “fresher” experience, head about 3.5km (2 miles) further up the river to La Chorrera de Indio. Here, you’ll encounter a 35m (115 ft) ice-cold waterfall that crashes down into a natural pool. You can also walk all the way up to the village Pance, where the locals like to bring their pots and pans and make a fire to cook sancocho, a chiken and vegetable soup, for a hearty lunch by the river on weekends. Within a few hours of hiking into the National Park Farallones de Cali, you’ll reach Pico de Loro, a mountain peak reaching to 2,832m (9,291 ft) above sea level. The steep and strenuous hike takes about 3-4h, depending on your fitness levels, but the effort is worth it as the peak has stunning panoramic views of Cali and the rest of the mountain range. Going with a guide is highly recommended. If you love trail running, sign up for the August North Face Adventure Marathon, which takes runners through the mountains – vertically – for 42/21/16 km (26 /13/10 miles). About 2h from Cali, heading towards the Pacific coast is San Cipriano, a village hidden in the jungle. The beautiful natural environment and clear waters of the San Cipriano River Natural Reserve offer visitors several fun activities to do. Hire a tube and walk up the river for about 40mins to La Platina and enjoy the float back down to the village. There's also a beautiful nearby waterfall. If you're keen to explore this, pause your tube ride at Charco Oscuro and ask a local guide to take you there. Enjoy the hot summer afternoons that beat down in the Valle at Lake Calima, just 2h from Cali. The artificial lake is one of the largest in Colombia, and offers many outdoor activities: nature walks, bird watching, horseback riding, kayaking, or just soaking up the stunning scenery in swimming pools and ferry trips. The continually blowing winds make the lake ideal for extreme water sports, with kite surfing and windsurfing being a local favourite. With forested mountains rolling into the lake, clear waters glistening in the sunlight, and a huge choice of activities, a trip to Lake Calima is the perfect place to relax and get some vitamin D.